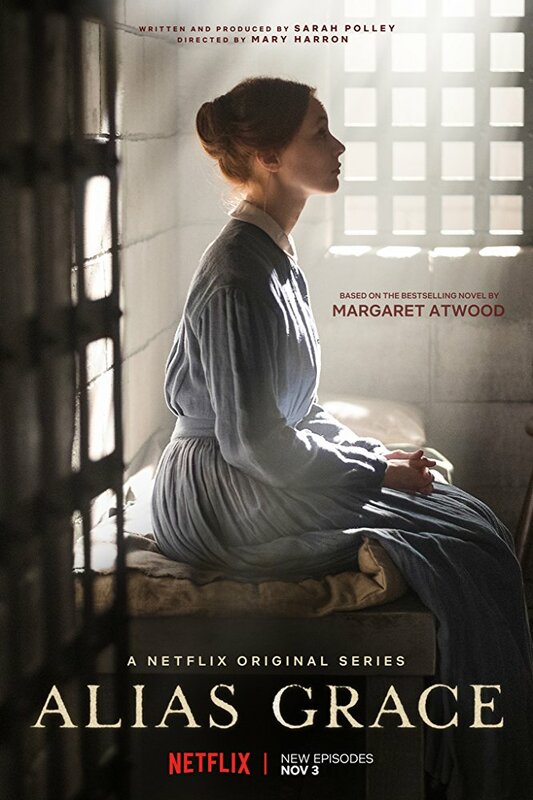 I’ve just finished reading Margaret Atwood’s Alias Grace which means I’ve got a few days to spare before the six episode series comes to Netflix on November 3rd. Canadian writer/actor Sarah Polley wrote the adaptation. ‘Based on the true story of Grace Marks, a housemaid and immigrant from Ireland who was imprisoned in 1843, perhaps wrongly, for the murder of her employer Thomas Kinnear. Grace claims to have no memory of the murder yet the facts are irrefutable. A decade after, Dr. Simon Jordan tries to help Grace recall her past. Sarah Gadon stars as Grace, just a 13 year old Irish girl when the book begins, a 16 year old teenager when the crime is committed, a 26 year old young woman when Dr. Jordan interviews her. The 20 year old Gadon seems to straddle those ages well. 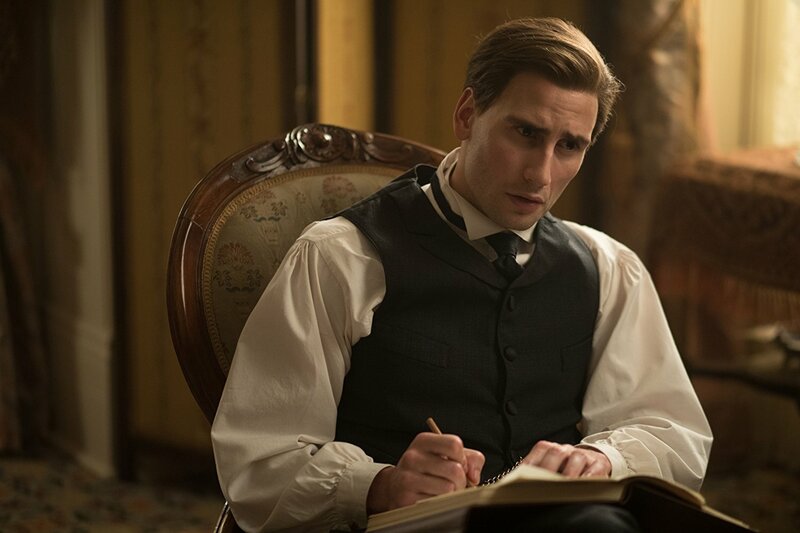 The very handsome Edward Holcroft plays the handsome Dr. Simon Jordan. He loves to listen to her tales. So do we. I enjoyed the book tremendously and have to wrap my head around my thoughts before sharing them with you. One thing I will say: after a few hundred pages, mostly reading Grace’s side of the story I believe she is innocent. And at the same time I believe she could very well be guilty. Ay, there’s the rub. Have you read the book? Do you feel the same way? Here’s the trailer for the Mary Harron directed series. I’m curious to see if this screen adaptation ends up with a more definitive view.